Edinburgh’s first ever destination-led campaign aimed at young visitors hopes to reach 3.5 million people across Europe with the support of VisitScotland. 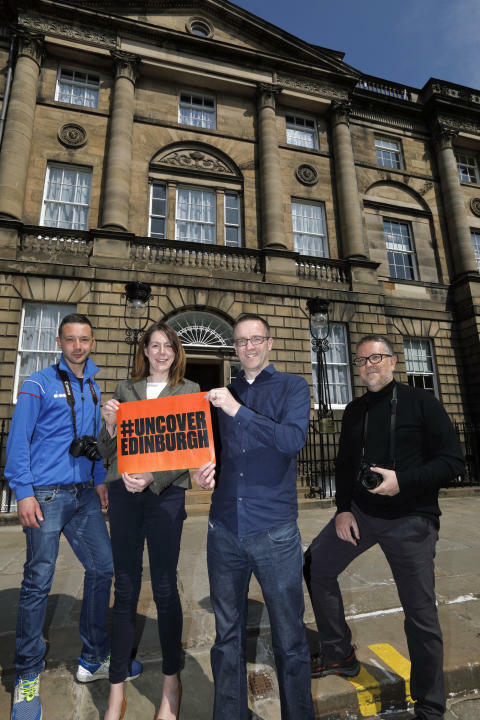 #UncoverEdinburgh, led by Youth Travel Edinburgh and supported by the Edinburgh Tourism Action Group and Marketing Edinburgh, is a digital campaign looking to profile Scotland’s capital as a top youth tourism destination and has received a £40,000 Growth Fund award from the national tourism organisation. VisitScotland Growth Fund supports national, regional and sectoral tourism groups across Scotland to deliver partnership marketing campaigns. Using Scotland’s 2018 Year of Young People (YOYP) as a platform, the partnership initiative looks to encourage visitors aged 18-26 from key European markets to come to Edinburgh on a year-round basis by pairing an Edinburgh influencer with an influencer sharing a similar special interest from cities like Barcelona, Paris and Amsterdam. A key focus of YOYP is co-production, and therefore the special interests were chosen by the Young Scot 2018 YOYP Ambassadors. Ten carefully selected Edinburgh influencers are inviting a contemporary from a target European city to join them in Scotland’s capital where together they will create digital content using Edinburgh as an identifiable backdrop. They will then both spread content across social media which will then be shared by their followers. So far, there have been two pairings and the most recent was between Edinburgh local Davide Verri and Nicanor Garcia from Barcelona, boasting a collective following of almost 740k, who share an interest in culturally significant architecture. Together they explored the city and took innovative photos of Edinburgh’s stunning architecture which they will be sharing on their Instagram accounts. One of Nicanor’s photos has already received almost 13k in engagements on social media. Youth travel is the fastest growing segment of global tourism and Edinburgh is second only to London for young visitors to the UK. Almost 2 million of the city’s visitors come into the millennial age bracket. Pete Duncan, Chair of Youth Travel Edinburgh, said: “We are thrilled to receive support from VisitScotland’s Growth Fund. This campaign is a fantastic collaboration by Edinburgh’s tourism industry and a great opportunity for the city to position itself as the leading UK youth travel destination that can be enjoyed on a year-round basis. Paula Ward, VisitScotland Regional Leadership Director, said: “#UncoverEdinburgh is an exciting campaign that has brought together Edinburgh’s tourism industry to grow the number of young people coming to Scotland’s capital. It’s particularly apt as we celebrate the Year of Young People which is an opportunity to celebrate and showcase the amazing young personalities, talents, and achievers that make up Scotland. It’s all about inspiring our nation through our young people’s ideas, attitudes and ambitions. YOYP 2018 is the next of the Scottish Government’s series of themed years, following the Year of History, Heritage and Archaeology 2017. It looks to inspire Scotland through its young people aged 8 to 26, celebrating their achievements, valuing their contributions to communities and creating new opportunities for them to shine locally, nationally and globally. 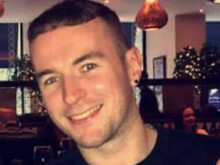 Youth Travel Edinburgh is a 100+ strong business group for tour operators in the tourism sector in Edinburgh with a particular interest in the youth market. It is constituted, chaired by Pete Duncan of Radical Travel and represented on the Edinburgh Tourism Action Group. Until now, the group has focused on collaboration and advocacy around interest and issues, as well as networking, but #UncoverEdinburgh marks their first marketing campaign. The celebrations for the Year of Young People 2018 have already seen a range of fantastic events taking place but May is gearing up to be the biggest month yet.